The Times reports that ten serving and former armed forces personnel will receive new funding and an improved package of support to take care of their long-term needs. The piece highlights the story of Lance Bombardier Ben Parkinson, who lost both his legs in an attack by an anti-tank mine in Afghanistan. The Ministry of Defence will provide £24,000 per year, tax free, to support Ben’s care needs. The funding is in addition to support provided by the NHS. The Sun also reported that Ben will now leave the Army with the improved support package to help him transition to civilian life. 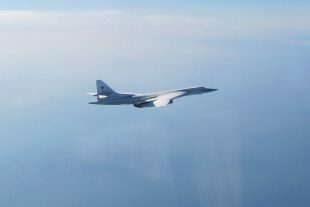 Two Russian Blackjack aircraft were monitored by a Royal Air Force Quick Reaction Alert Typhoon fighter aircraft scrambled from RAF Lossiemouth.